A universal cuff strap that is connected to one’s hand which has a stick rubber tip on one end. 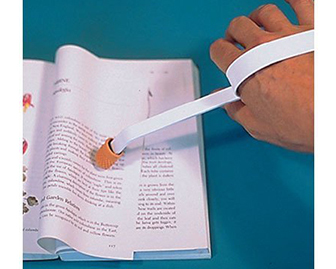 This can be used by someone to turn pages in physical books or magazines. Great for people with partial paralysis or weakness in the hand.